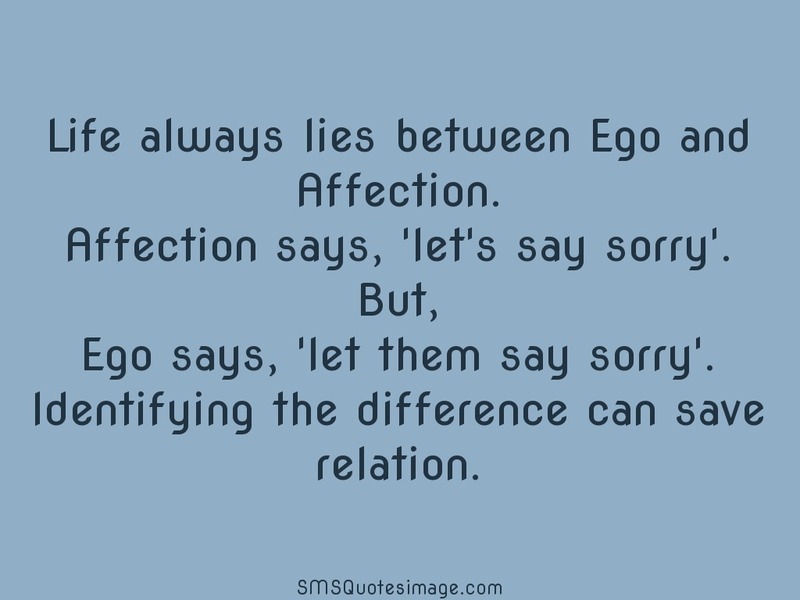 Life always lies between Ego and Affection. Affection says, 'let's say sorry'. 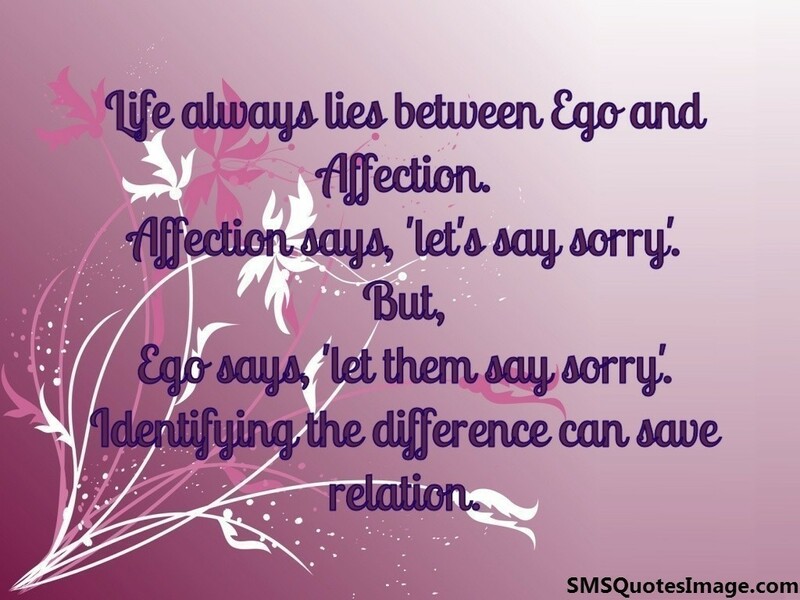 Ego says, 'let them say sorry'. Identifying the difference can save relation.